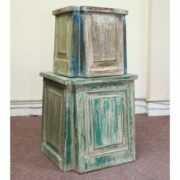 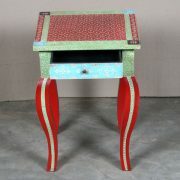 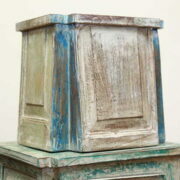 Colourful low side table with one drawer hand made and painted In Jodphur, India. 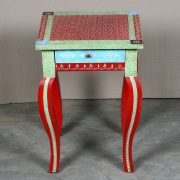 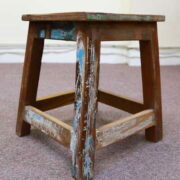 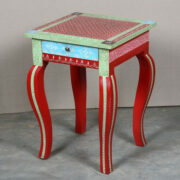 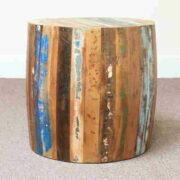 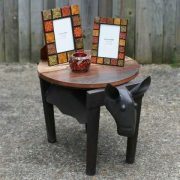 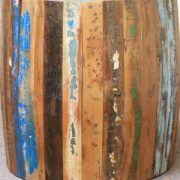 This colourful low side table has been handmade and hand painted in India’s colourful region of Rajasthan. 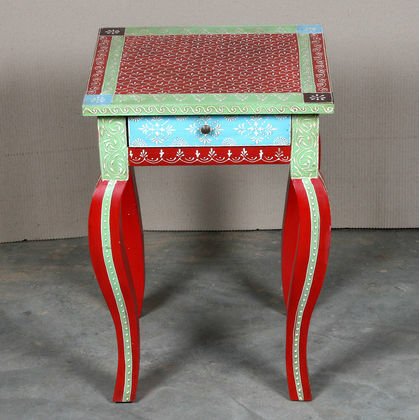 It has a floral pattern laid over its painted finish. 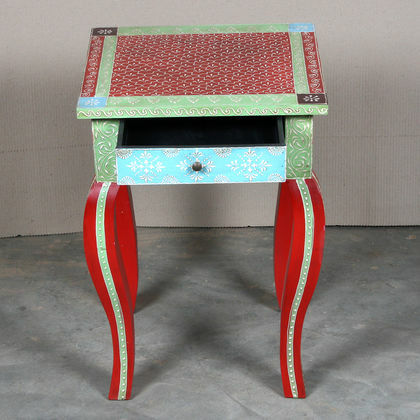 Adding to its vibrant colourful finish of red, lime green and light blue are its ornate cabriole legs which give it a very special look. 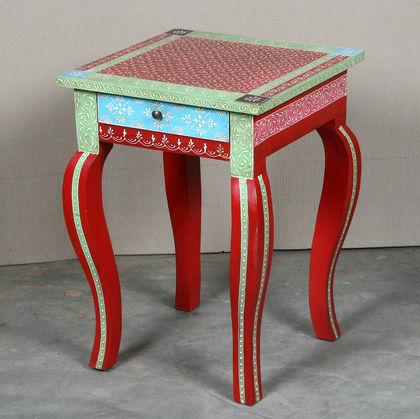 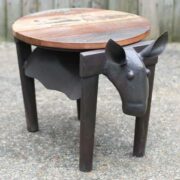 This eye-catching side table has one drawer.